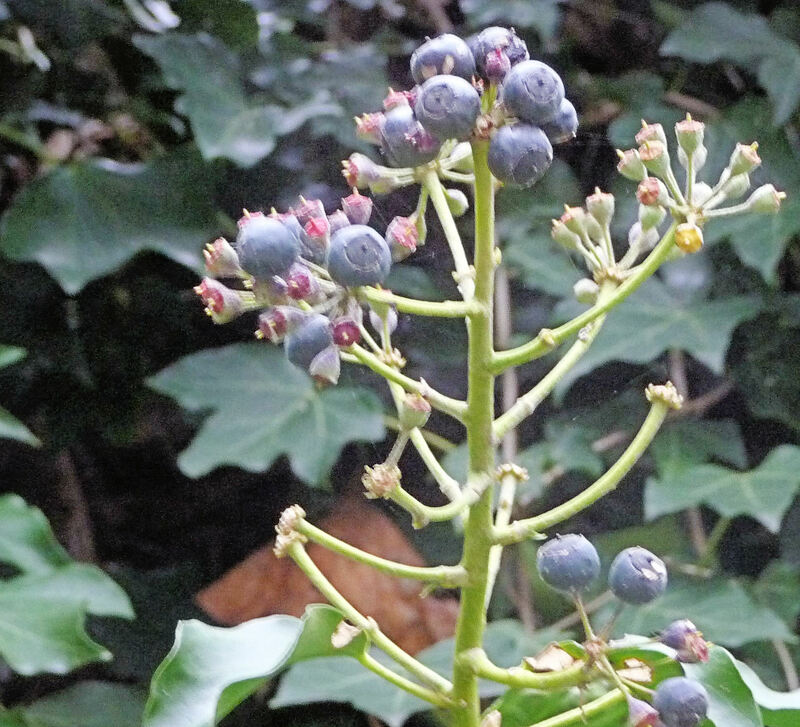 This is the essential plant for a wildlife-friendly garden, according to naturalist and gardener Chris Baines in his book HOW TO MAKE A WILDLIFE GARDEN. 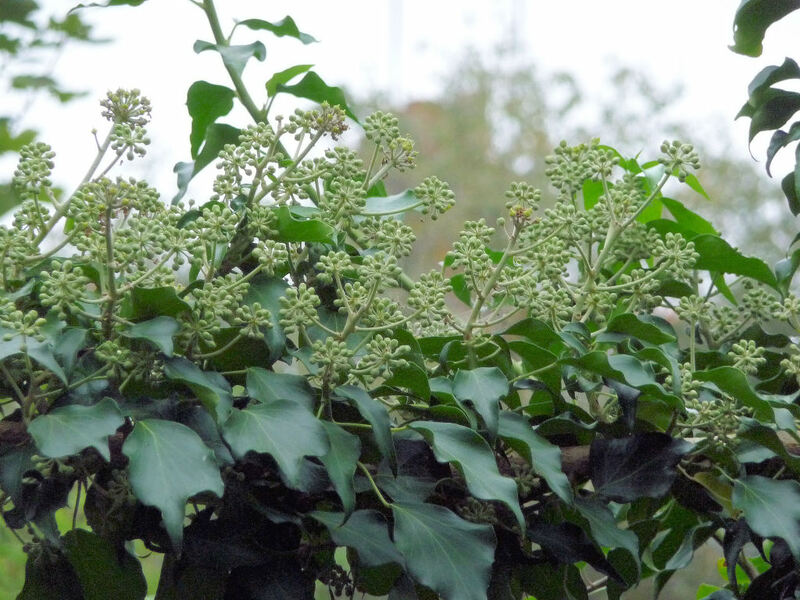 Our native Ivy offers an evergreen backdrop to other plants, while giving shelter to insects and other creatures. 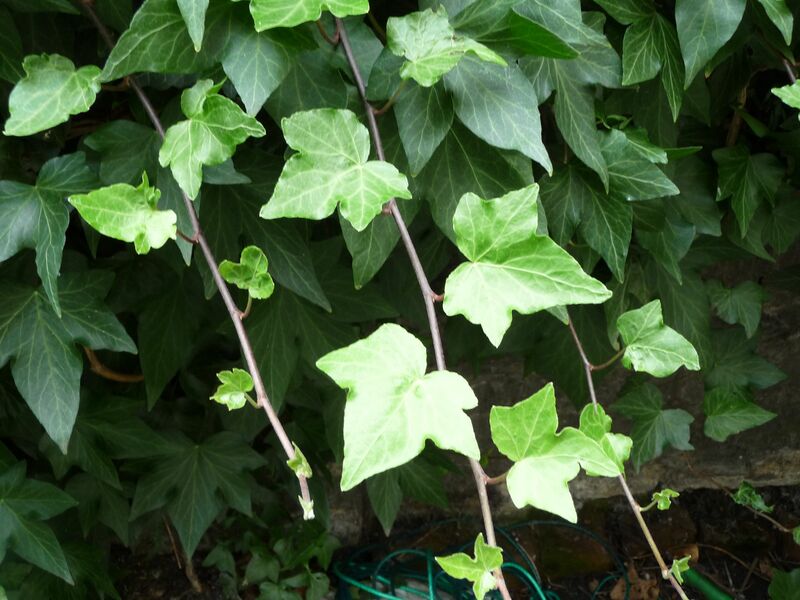 Easy to grow all year round, English Ivy can reach 10m x 5m or more in sun or shade. 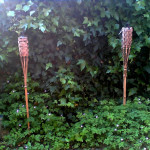 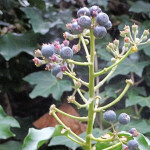 But you can shape its size to suit your own garden, patio, or windowbox. 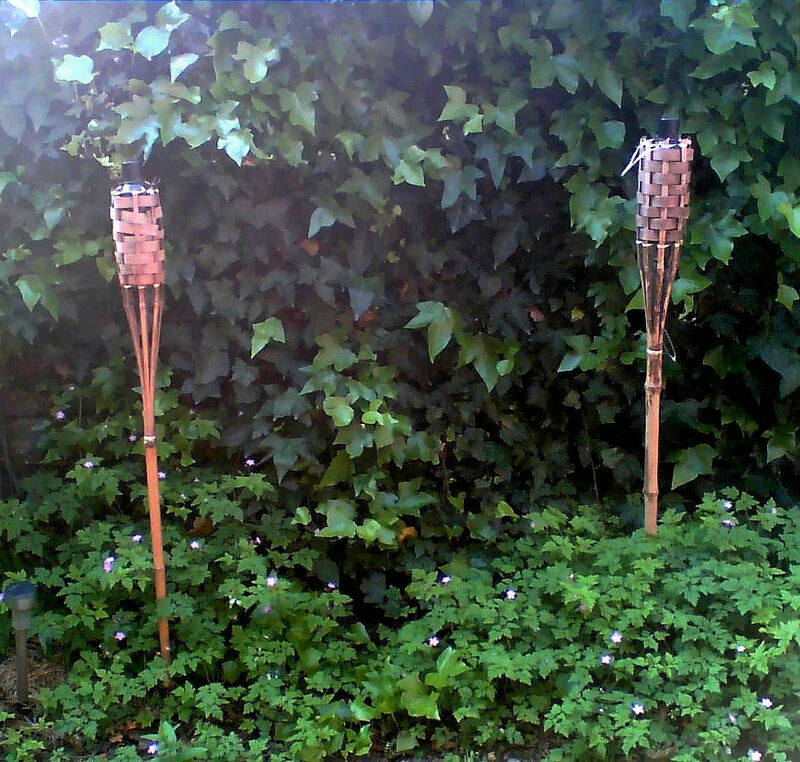 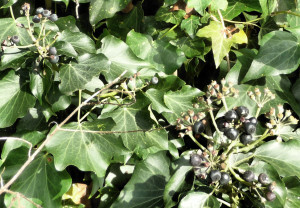 If you let your Ivy grow to maturity, more wildlife can make use of it. 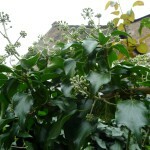 Insects visiting Ivy flowers include Moths, Butterflies (Red Admiral, Speckled Wood & Comma), Honeybees & other bees. 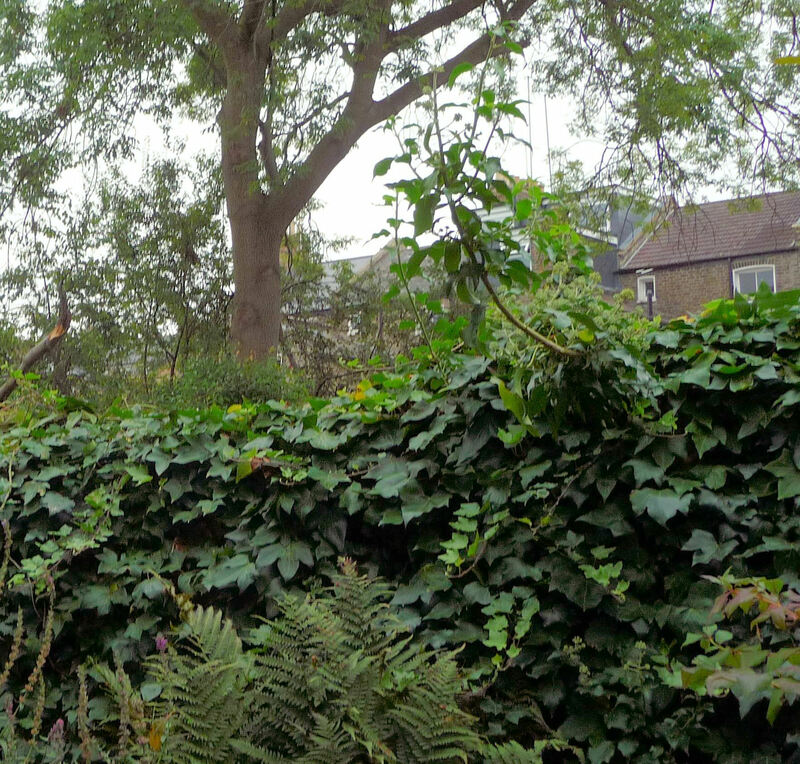 In our garden, Wrens dive into the Ivy to forage for spiders and small insects, as do Robins, Sparrows & Bluetits. Ivy berries are an important food source for birds in winter, when little else may be available to them. 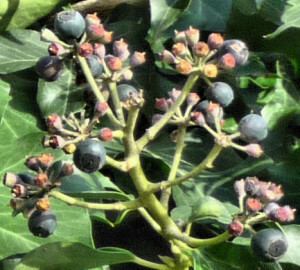 “Hedera helix is common in woods and hedges throughout Europe and western Asia. YELLOW-GREEN flowers, rich in nectar, appear during autumn on mature plants, followed by globose, BLACK berries. 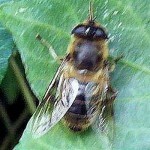 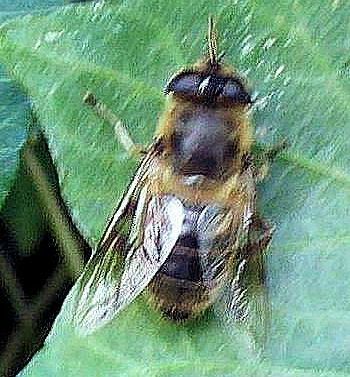 ‘Scientists have found that Ivy is one of the most important plants to provide nectar for bees. 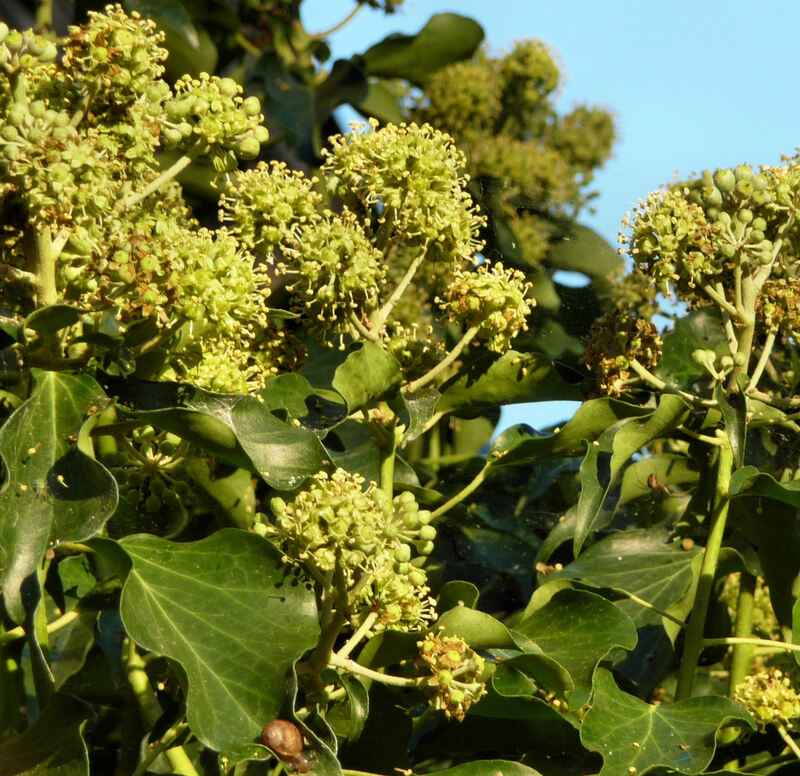 They found that honey bees rely upon ivy for the majority of the pollen and nectar they collect during the autumn months, a crucial time when the insects are trying to build up stores for the winter and feed their young. 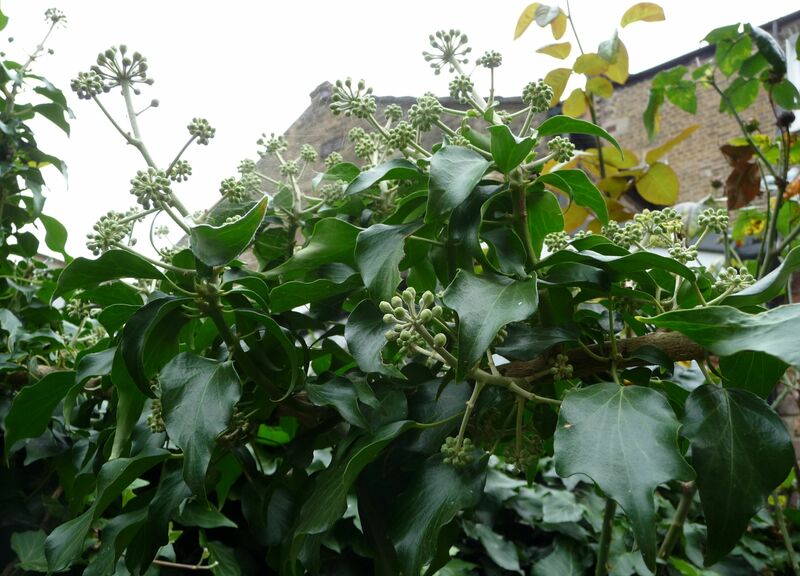 Ivy that is constantly clipped does not flower. 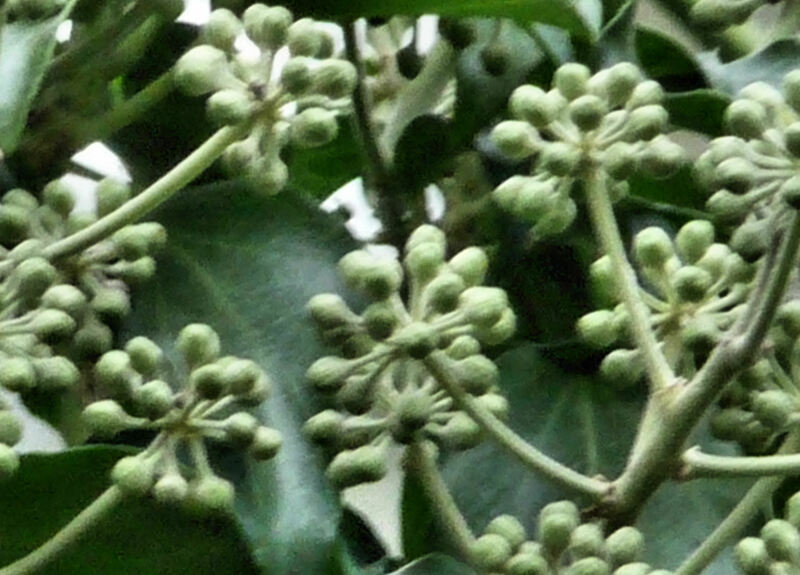 When allowed to grow freely, Hedera helix’s leaves change shape – from five lobes to something more oval – and it produces globose flowers on stalks. 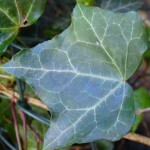 Other names: Bergflétta, bindwood, common ivy, Efeu, gort, gum ivy, ifig, kissos, lovestone, true ivy, winter-green, winter-grunt, woodbine. We make a point of not being as TIDY MINDED as those (often property developers, tidying up a property they want to sell) who rip up mature ivy in local gardens & toss it into skips to be carted away. 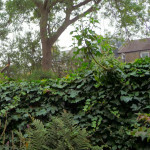 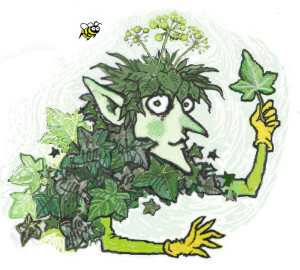 RF, our first gardener, planted Ivy to grow along our brick walls down the years, providing shelter for many creatures, berries for birds & nectar for bees in the shank of the year… Thank you, RF!